Codeweavers offers downloads of its Crossover Games for $39.95 and Crossover Professional for $69.95 but if you apply coupon code "ComeToTheLight" this will drop CrossOver Games to $29.96 And Crossover Professional to $52.46 That's 25% off the normal retail selling price. 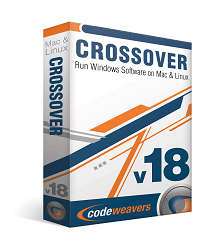 CrossOver enables you to install Windows applications and games on Intel-based Macs and Linux. CodeWeavers also has unsupported builds for FreeBSD and Solaris. To get the FreeBSD or Solaris build you will need to buy a Linux licence and then go to your downloads and select the unsupported tab. The new and improved CodeWeavers CrossOver version 10.0.0 was recently released, So if you need a Windows Application or Games to run on Linux, Mac OS X, FreeBSD or Solaris this is your chance to get it at 25% off the normal selling price. CrossOver 10.0.0 contains many fixes to existing applications, and just generally makes the product better. As of this writing CrossOver has been merged with Wine 1.3.9 and contains many improvements for Internet Explorer, Microsoft Office, Quicken, PhotoShop and many other supported and none supported applications. See below for the full changelog of changes in CrossOver 10.0.0 for Linux and Mac. Second, and perhaps most important, the CrossOver installer will now be directly linked to their online Compatibility database and allow people to install unsupported software via (recipes) contained on the Compatibility Center. The recipes are now called CrossTie and have the .tie file extention. Technically speaking, a CrossTie file is a formatted XML file. 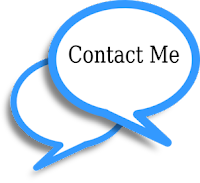 When you click on a CrossTie link in our Compatibility Database, you'll be prompted to download the the CrossTie file to your machine. After downloading the CrossTie file, on Mac you can drag and drop the CrossTie file onto the CrossOver icon, or double click on the CrossTie file to have CrossOver load the file. CrossOver reads the XML 'recipe' and begins the installation process for the target application. The CrossTie file tells CrossOver everything it needs to know about how to install the target software package, how to detect if it is installed, and even how to determine what software package a given CD is for. CrossOver will also automatically understand all the dependencies, tweaks and settings that would be needed to make that application install and function to the best of its ability. Here is a couple screenshots of the Crossover Professional 10.0 (UI) user interface. Fix the Mac Programs menu for non-English locales. CrossOver Mac and CrossOver Games Mac no longer run on OS X 10.4 Tiger. The Mac product now uses modern (Leopard-era) GUI tools, which should improve the look and feel of quite a few things. Added localizations: German, Czech, Chinese (PRC), Brazilian Portuguese. .c4p files are renamed to .tie files (aka 'CrossTies'). The complete set of supported .tie profiles can now be automatically refreshed in the product. A disambiguation tool (cxtie on Linux and the 'CrossOver CrossTie Launcher' on the Mac) has been added to properly direct .tie files to an appropriate product (CrossOver or CrossOver Games). Secure signing of .tie files is now supported. Active rejection of malicious .tie files is now supported. Many differences between the web-based .tie files and the .tie files that ship with CrossOver have been resolved. Installation profiles are now smarter about locating appropriate install media. The behavior of the installer assistant should generally be smoother, smarter, and more straightforward. CrossOver now supports 'required patches' which are applied to an application automatically after installation. The mac product now responds to a custom URI that should greatly improve autoplay of CrossTie files from the website. CrossTie profiles respect bottle groups. The installer no longer accidentally grabs files from $HOME. Trace flags are functioning properly. Long CrossTie errors are cleaned up. Mac Menu Items are removed after uninstall of applications. Restored the 'Use Native Browser' option that was present in CrossOver 8.x. Made several changes to the layout and graphical design. The 'Force Quit' button in the bottle manager should work better. Fixed quite a few minor behavioral bugs. 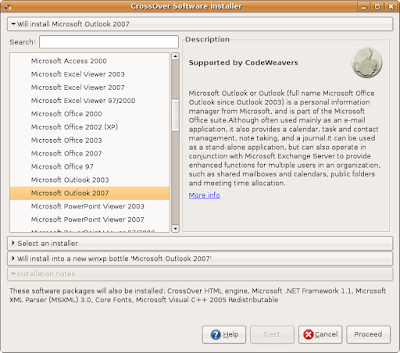 Extensive changes to the installation process for Office 2003 and 2007. This should allow more editions to install properly. Office 2003 & 2007 Spanish Accents enter correctly. Office 2003 applications print images. Office 2007 Pressing Alt + F4 now closes applications. Enterprise Office 2007 additional versions install. PowerPoint 2003 does not take a long time to load large documents. PowerPoint 2003 is better at rendering images & slides. PowerPoint 2003 redraws images faster. PowerPoint 2003 displays slide backgrounds. Excel 2007 Copy/Paste from one workbook to another now works. Large Excel 2007 & 2003 documents take less time to load. Excel 2007 document links work. Excel 2003 & 2007 macro improvements. Outlook 2007 does not become disconnected after several hours of use. Outlook 2007 attachments to Calendar and Task items work. Outlook 2007 Additional Exchange mailboxes can be added to an Exchange account. Outlook 2007 now connects with Gmail via IMAP. Outlook 2007 New Appointment, Scheduling tab no longer jumps. Outlook 2007 PDF documents now attach. Outlook 2007 accepts more add-ons like Proofing Tools. Outlook 2007 Web Toolbar now works. Outlook 2007 send/receive no longer moves windows. Outlook 2007 autocompletes the ‘to’ field. Outlook 2003 now updates the preview pane on Mac. Outlook 2003 welcome message generates properly. Outlook 2003 Items attached to Calendar Events can be opened. Outlook 2003 page setup works. Word 2007 (Enterprise versions) no longer flag an error on launch. Word 2007 can now open documents with images pasted into them on the Mac. Word 2007 no longer enters a loop when MathType 6.x is installed. Word 2003 handles embedded images better. 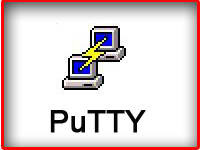 On the Mac, PowerPoint or Excel 2003 double clicking to open a document no longer causes a launch failure. Printing works in win98 bottles. Enterprise Architect 8 is installing again. FrameMaker 7.2 now respects specified locales. Internet Explorer 6 now defaults to a win2000 bottle. This should resolve the long-standing printing bugs with Internet Explorer 6. Internet Explorer 6 can now access OWA (Outlook Web Access) pages. Internet Explorer 6 and 7 follow DNS names provided by the server. Internet Explorer 7 Paragon MLS site now logs in, buttons & menu items render. Internet Explorer 6 security settings can be adjusted. Internet Explorer 7 Printing is improved. Added support for Quicken 2011. Quicken 2009 now prints checks and reports. ChemSketch regressions fixed (versions 5.x and up), ChemSketch can be launched more than once. Visio 2007 can now open files in the .svg format. CrossOver is now merged with Wine 1.3.9. This includes countless improvements and will no doubt also produce countless regressions. The Linux shell installer now uses a more modern GTK-based installation tool, MojoSetup. This should resolve many installation issues present in the old installer, and also changes the look and feel considerably. Linux system tray behavior is improved in several ways. Menu behavior has been improved on several Linux platforms. Sound does not get out of sync on Linux systems. Office 2007 balloon tooltips now display on Linux. PowerPoint 2003 copy from a Linux native application to a PowerPoint slide works.